Bhimtal is located in the Kumaon region of Uttarakhand , in the northern region of India. It is located at an altitude of 1,371 m above sea level amongst the Kumaon hills. It is 23 km from Nainital. The main tourist attraction of this small hill station is its lake. 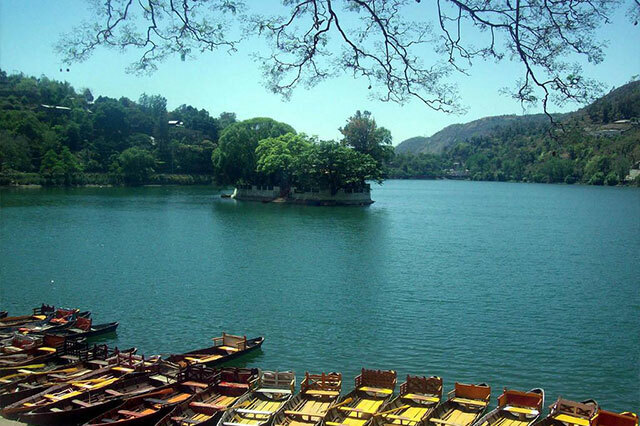 It is one of the largest lakes in the district of Nainital. The lake offers scope for boating to the travelers. In the middle of the lake, there is a beautiful island with a restaurant. The island provides a panoramic view of the lake as well as its luxuriant surroundings.